Today was one of those amazing days where I got more done in the morning before 11AM than I usually get done in the entire day. I wish I had more of these days. 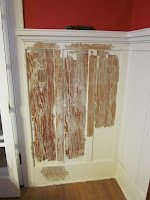 I spent another 30 or so minutes stripping paint in the dining room. 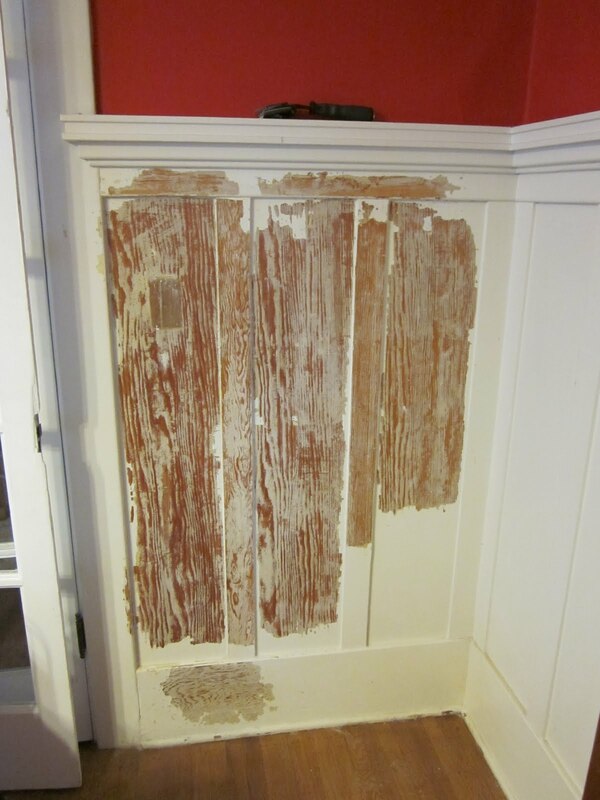 Then, this afternoon I spent a few minutes stripping paint in the living room, because little chips in the paint made it look like the woodwork in there may be darker. Unfortunately, it is. Bummer. Now we'll either need to use a dark stain in the dining room to make it match, or spend extra effort in the living room trying to lighten up the woodwork. 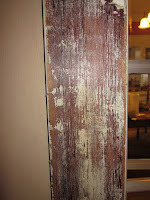 My preference would be to have lighter woodwork, so we’ll probably go with the latter option. We also spent another hour or so cleaning up the leaves in the front yard. I’m hoping this will be the last of the raking, as the trees are finally starting to look pretty bare. Then we came in the house and got to work cleaning up the kitchen and then turned around and made it a mess again cooking! =) We made a new cookie recipe—Chocolate-Peppermint Snaps and Jeff put together a soup from turkey broth he made last week. 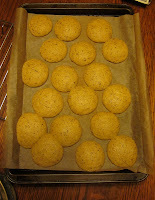 And this evening, as I write this, Jeff is working on a batch of his favorite cookies—Snickerdoodles. I did, luckily, manage at least a couple of hours of studying this afternoon when my computer (incorrectly) thought the internet was down. But then Jeff told me his connection was working and a restart of my computer did the trick. Update at 7PM. This task goes much faster with two people working at it. 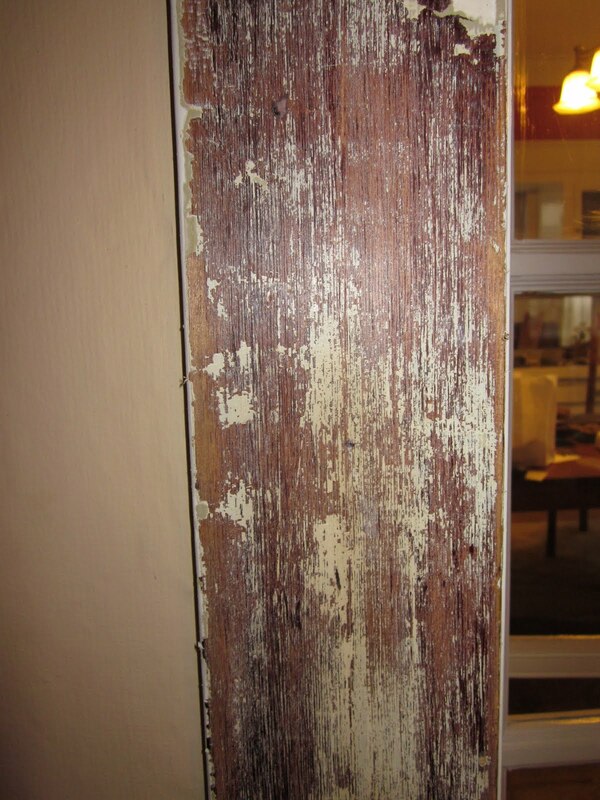 One person holds the infrared stripper, while the other scrapes the softened paint.